Are my other medical concerns a factor for getting dental implants ? Definitely, all patients are provided with a health questionnaire. The patient should be healthy, without any interruption to proper healing. When appropriate, the patient’s medical practitioner is informed of the treatment provided by the dental surgeon, as well as the medication prescribed. Will caring for myself at home be different form any other dental procedures i have done ? 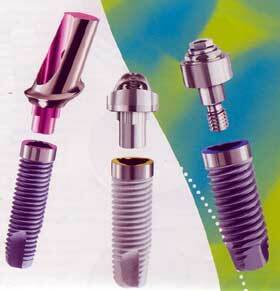 The dental implant care the patient provides at home must be very good to promote healing of implant site. The teeth and implants must be kept cleaner than ever before. The patient must be able to use a toothbrush, dental floss or other devices to keep plaque off the teeth and implants. If this is not done, the possibility increases that the dental implants will not succeed and will have to be removed. Furthermore, smoking or excessive alcohol consumption compromise it too. Do I Need to take X rays ? The patient must have a complete examination with x-rays, which may include panoramic or periapical (an x ray to show the root of the whole length of the tooth ) radio graphs. X-rays are also necessary for proper diagnosis and follow up after treatment is complete. Please do not have to much worries over the dose of radiation received while taking the x ray. The x ray doses used are very minute. Are there any special considerations opposing teeth that are contacting the implant ? The teeth or denture opposite the implanted area is very important consideration in success of implant treatment. It is better if there is no grinding of teeth (bruxism) at night against the implants. Care must be taken not to overload the dental implants by chewing on hard objects such as ice, which could even damage natural teeth. The patient should be conservative when engaging in physical activity that may damage the implants or underlying bone. Will I lose any sensation or feeling? Some cases have been reported in which sensation has been lost following certain implant surgical procedures. This happens sometimes, but is usually temporary. Unfortunately in some instances, complete nerve sensation does not return after many years. Such instances have also occurred following the removal of deeply impacted wisdom teeth. Loss of nerve sensation is usually temporary and does not cause drooping or sagging of the face. Are implant treatments always successful? No. Many variables must be considered when placing the dental implants. First, the patient must be healthy and able to heal normally. For example, if the patient has uncontrolled diabetes, inconsistent healing could complicate the procedure. If such condition develops after the implant treatment has performed, this too may complicate the future of the implants. Second a proper diagnosis must be made and the proper implant type and procedure must be selected for the individual patients. Third, the implant must be treated properly by the patient and dental surgeon. If either party is neglectful, complications could result. Fourth, if the patient is a heavy smoker or consumes alcoholic drinks excessively, the success of the implants will be affected. Most things do not last a life time.Some dental implant duration have been in the mouth longer than 30 years. However, the average life expectancy of the implant is shorter and is based on a numerous variable factors such as the patient’s health and proper maintenance. In the final analysis, whether the implants last for a lifetime depends on how the patients lives and how old he or she was when the dental implant was placed. Every tooth that a person posses meets with two possible fates: one, it either last until the person dies or it is removed during some point of the persons lifetime. The same fate applies to implants. Is age a big factor? No. Health is the determining factor. Many people in their seventies or eighties are better candidates for implant treatment than younger patients who have physical complications. Older patients are more likely to need implants because they have lost more teeth and have lost more of their supporting jaw bone level.Any procedure that can help better the quality of life is worth doing no matter what the age. Is it possible that my body will reject the implants ? Implants are basically made out of materials compatible to the human body. It will not rust like normal metal nails. Implant materials has undergone extensive research and testing over many years. Because this materials are usually metals such as titanium implants or a surgical alloy and not made of a living tissue, patients do not have to worry about an immune response or attack. Bibliography : Principles and Practice of Implant Dentistry ; Charles M. Weiss & Adam Weiss. This entry was posted in Oral Care and tagged dental implant care, dental implant duration, dental implants, implant, implant surgical procedure, implant treatment, implant type, implants, jaw bone level, titanium implants on March 19, 2010 by samanthaloh.